The Institute of Leadership & Management (ILM) Level 3 Award, Certificate and Diploma in Management are qualifications that have been specially designed to give practising or aspiring first line managers a solid foundation in their formal development in this role. All learners are able to study a diverse range of units to build their qualification - an Award (Minimum 6 Credits), Certificate (Minimum 13 Credits) or Diploma (Minimum 37 Credits). This high level of flexibility allows individuals or their employers to custom build a qualification focusing on the key areas of middle management that are most relevant to the demands of a specific role, industry or organisation. The Award is a concise qualification which gives an introduction to the basic skills, knowledge and understanding required by today's first line manager. The mandatory unit 'Solving Problems and Making Decisions' is designed to develop practical techniques for tackling managerial problems and making decisions from gathering and interpreting information through to the effective communication of outcomes. The Certificate provides a more comprehensive programme that builds and broadens the skills and knowledge gained in the Award. Here organisational change is explored, giving participants a deeper understanding of this critical workplace issue and providing them with the tools to plan for and deal with organisational upheaval. The crucial skill of time management is also explored in the fourth mandatory unit for the Certificate. The Diploma develops a very comprehensive range of management skills, providing learners with the broad body of knowledge required by a first line manager. The qualification builds on the Award and Certificate, though is more suited to the practising manager. (Please note candidates are not required to undertake either the Award or Certificate as prerequisites and may join Diploma programmes directly). The additional mandatory units cover business communication - writing for business and making presentations - creativity and innovation for the workplace as well as information gathering and analysis, and managing customer service. The course is aimed at practising or aspiring first line managers who want to learn new skills and extend their existing skills in the area of leadership and management. • Develop your leadership and management skills using your own knowledge, values and motivations. • Managers with the tools to develop their own skills and abilities. 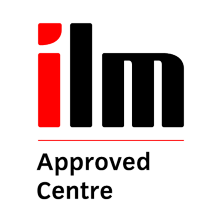 The ILM Level 3 Qualification lead directly onto the Level 4 and Level 5 Qualifications in Leadership and Management.